When you need quick cash, a reputable pawn shop near you is a great place to work with. The strict regulations that pawn shops operate under in California make them a safe bet for your business. More and more people are turning to pawnshops to meet their financial needs, and your local pawnbroker is in a position to help you. If you are considering pawning some of your property for cash, you will get more money if your items are in-demand and saleable. Pawnshops in your area are there to help their communities, but they must also ensure that they will be able to sell items at a profit if the pawned articles go unredeemed. Electronics are smart things to pawn if you find yourself in a financial pinch. 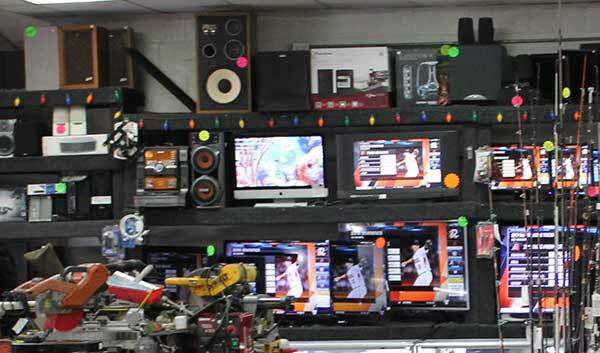 In-demand electronics in excellent condition are among the handful of items that all pawn shops can use. However, not all electronics will fetch similar payouts. Keep reading to find out what factors affect how much you can expect for your electronics at a pawn shop near you. First, keep in mind that unlike other frequently pawned items, such as jewelry or tools, electronics do not retain their value over time. A two-year-old tablet is worth only a fraction of what a six-month-old tablet is worth. Your local pawnbroker must take into consideration that an older electronic will be difficult to sell if its ticket is not redeemed. More than any other pawned item, electronics require a pawnshop to stay on top of the news on both the marketplace and general technology trends. Introduction of new models and innovations in technology can render an item obsolete seemingly overnight, causing prices and demand to plummet. However, some brands, like Nikon and Apple, retain their value longer than others, even for older generation models. Brands like these may be more useful to your local pawnshop and will get you more money. What factors affect how much money i can get for my electronics? Generally, pawnshops prefer electronics that are no more than two years old. Items older than two years old are risky for a pawnshop to purchase, as it means that the article may soon be outdated, if it isn’t already. Also, electronics in good condition are easier to sell than chipped, stained or otherwise cosmetically damaged items. Even if your article works perfectly, a blemished product will affect how much your pawnbroker can charge for it. Customers expect that electronics come with as much original packaging as possible, including chargers, manuals, cables, and accessories. Electronics that come with such peripherals will command a higher price than those without. For example, a video game console with its controllers, cords and maybe even a handful of games, will be easier for your pawnbroker to sell than a console by itself. Pawnbrokers like to stay on good terms with the members of their community. Repeat customers who repay their loans on time are likely to get more for their item because they are considered a low-risk customer to their pawnbroker. Customers that your pawnbroker has never seen before, or who have earned a history of non-payment may be considered a risky bet and may not get top dollar for their electronic item. So now that you know a little about what factors may influence how much you can expect for your electronic, here are some tips on selling your electronics at your local pawn shop. How do i sell my electronics at my local pawn shop? Check out what items like yours have recently sold for online to get an idea of how much you can realistically expect your local pawnshop to pay for your article. Online sales will tell you and your pawnbroker about the national demand, which will help set a baseline for how much you might receive for it. If your old electronics aren’t in demand online, chances of a big payout for you will be slim. If your item is popular, you’re in luck. The next step is to clean up your piece. The closer to new that you can make your electronic look, the less work your pawnbroker will need to do to get in shape to sell, which may be reflected in the price that you are offered. It should go without saying that your item must work as expected; be prepared to demonstrate to your pawnbroker that your electronic is in excellent working condition. If your electronic item does not work, it is worth little else than as a paperweight unless it can be sold for parts. Having all the cables, manuals and accessories that go with your item will get you a little more money than the thing by itself. Whatever you, and by extension, your pawnbroker can add to the bundle will increase its perceived value to a potential buyer. Pawnbrokers in your area are careful not to purchase stolen items. As a security measure, they will require legal identification from you before they will consider extending an offer. Be sure that your ID has not expired and that it contains current information. If your ID does not have your current address, you should consider bringing along a piece of business mail less than thirty days old as a show of good faith that your local pawnbroker is reputable. While it will depend on the item, your local pawnbroker has a little wriggle room when it comes to electronics that are new or in high demand. Do not take advantage of it, but keep in mind that pawnbrokers are willing to work with you to find a solution that satisfies everyone. Most local pawnbrokers like Central Mega Pawn are experts in their communities; they know what will sell better in Ontario than in, say, Upland, Chino, or Pomona. Don’t take it personally if they decline your item or offer less than you expected. You can either negotiate or ask where they think you might get more for your money.